Monica Jahan Bose, a Bangladeshi-American artist and climate activist who works in D.C. will start work on a public art installation called Wrapture on November 13 at Anacostia Arts Center. Monica will create the art installation over a period of six months in collaboration with other community members. The installation art will wrap five buildings in Historic Anacostia on April 4, 14th and May 9, 2019. The artist is looking for student interns and paid assistants to attend the workshops. More information about the project can be had at Anacostia Arts Center where Bose will be doing a live art demonstration. D.C. Commission on the Arts and Humanities and community partners, Anacostia Arts Center, We Act Radio and 7Concepts are sponsoring the project. Also a lawyer and an activist, Bose often works with rural and urban communities on issues of gender and climate change. She works in the medium of performance, painting, film, photography, and also takes up other interdisciplinary projects. Bose studied art at Wesleyan University and has a law degree from Columbia University. She has previously received an Art Lives Here grant in 2013 and D.C. Commission on the Arts and Humanities also awarded her four separate grants. 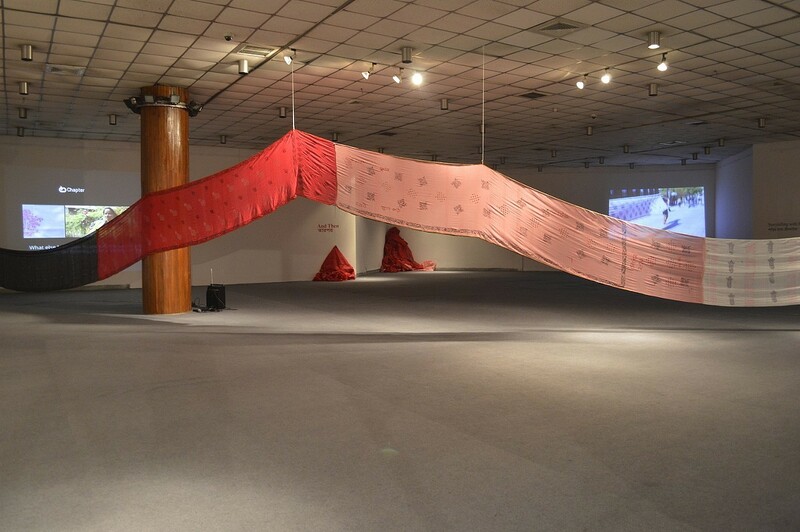 Bose is also known for creating a long-term collaborative art and advocacy project called “Storytelling with Saris” which involves 12 women from her ancestral village adversely affected by climate change.